Traveling as a hobby is immensely popular. If you aren’t a traveler yourself, you most likely know someone who spends every other weekend somewhere else. People travel hack credit cards, drive used cars, and work second jobs just to afford a visit to someplace new. People like this spend their time, money, and energy on their hobby, often at the expense of something they find less important. It can be difficult to find gifts for a traveler. Things like luggage, experiences, and lodging are very personal. Your heart may be in the right place, but it is risky to buy something that most travelers will not wind up using. Instead, if a traveler in your life has an upcoming birthday or special event, try fostering and celebrating that hobby. There are many gift options out there that help travelers think about and enjoy the hobby just a little bit more. So take a look at the items we have suggested below, and find the one that is right for the travel enthusiast in your life. Keeping track of the states and nations visited is a great way to keep memories alive, plan future trips, and connect with other travelers over shared experiences. This 17” x 24” map comes in black and gold. Once a place is visited, the gold can be scratched off to reveal a bright color underneath. This way, your loved one can have an ever-changing and evolving piece of art on their wall that helps them to remember all of their brilliant and unique trips. This map also features a bottom panel that will reveal all 195 nation-flags of the world. The travel kit comes with a magnifying glass and several straight pins to mark favorite places. This is a great gift that will inspire travel for anyone who has visited or is trying to visit the entire globe! If you know someone who wants to learn more about geography, global cultures, and local customs, try getting them this board game in which players circle the globe while answering trivia questions about people, places, food, drink, world treasures, greetings, gestures, customs, and traditions. The game can support 2-6 players, has a total of 636 questions and 48 different cultural scenarios. It is a great way to get children engaged and informed on world cultures. One parent sang the virtues of the game in a review, stating that she and her daughter have learned and bonded over this game. It is definitely one to inspire travel – before you know it, you’ll be looking up flights! If you are looking for a gift for a someone who enjoys decorating their home with souvenirs and knick-knacks that speak to their travel habit, consider this classy little globe that can sit attractively on a desktop or bookshelf. The distressed sepia-tone color is both classic and rustic. This is a fun way to explore the globe, the positioning of continents, latitude and longitude lines, oceans and seas, and a myriad of other natural phenomena. If you know a traveler that checks out new locations for just the Instagram opportunities, then consider buying them this clip on lens kit. 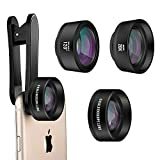 It doesn’t matter which type of phone they have – this lens kit clips right over the lens on their smartphone. It comes with a macro lens, a wide angle lens, and a fisheye lens. Each lens screws into the clip attachment, turning your normal smartphone photos into stunning pieces that resemble professional photography. The lenses and the case all come with a hard-sided case that keeps your camera attachments safe, together, and easy to transport. This is a great accessory for an avid traveler to bring on the road with them. Plus, they’ll likely inspire travel with this photography tool. Food is definitely a strategy to inspire travel. If someone primarily travels for the cuisine, gift them this cookbook. 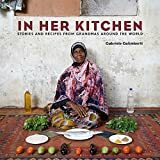 It shares incredible stories, photography and stories from the best chefs in the world – grandmas! The grandmas are photographed with their raw ingredients and with the finished product. The recipes are simple to follow, and alternative ingredients are offered for ingredients that may not be available in different areas of the world. Each grandma featured is given a short biography so that readers can do some cultural and cuisine exploration right from the comfort of their own homes and kitchens! If you know someone who likes to relive experiences and inspire travel through photography, why not buy them a book that contains some of the best travel photography on the planet? This book is even more than a coffee-table book of images. It includes how-to advice, professional commentary, and useful tips on how to take and appreciate photographs. So whether your loved one is a world or domestic traveler, a luxury experience seeker, or a budget-explorer, there is something on this list that will inspire travel. Or, it’ll remind them of their special memories, enhance future experiences, and help them bring their travel life into their everyday lives.